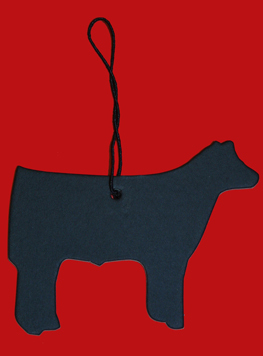 Air Freshener - Black Steer [AFBS] : Highland Livestock Supply, Ltd, Products for all of your show animals! Can be hung from your car's rear view mirror or any place that needs a better scent. Order 5 or more animal shaped air fresheners and they are shipped by US Mail for free!